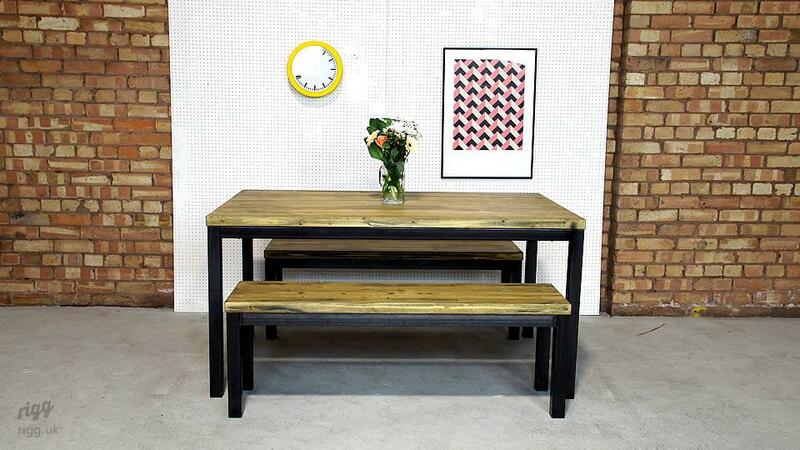 Our industrial table has been one of our most popular items since we began producing furniture some years ago at our UK workshops. The frame is strong yet unobtrusive, having a simple visual line which travels around the piece. 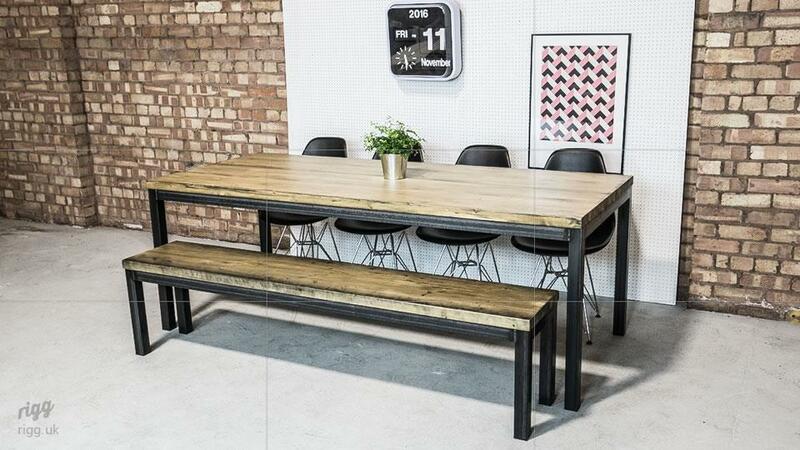 This grey self-colour steel, along with the characterful solid wood top means that this model has an uncomplicated form which results in a confident contemporary "vintage industrial" interior design statement. 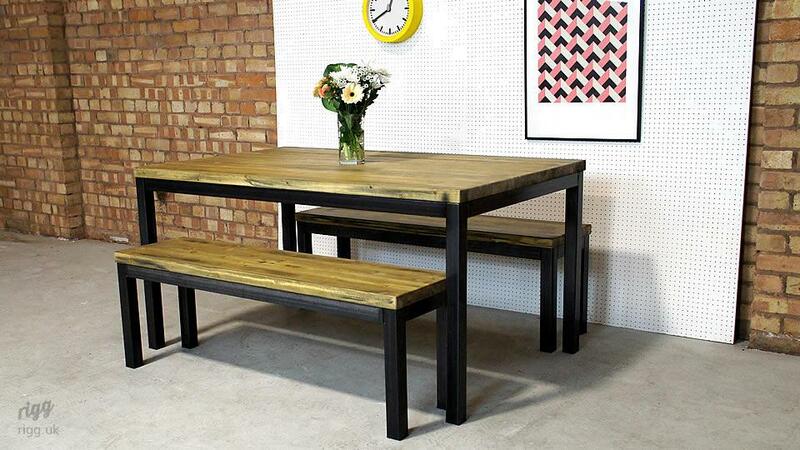 Many other tables which are available are overtly industrial in nature, creating a hackneyed, clichéd appearance which will date quickly and also not have the compatibility with contemorary and traditional interiors. 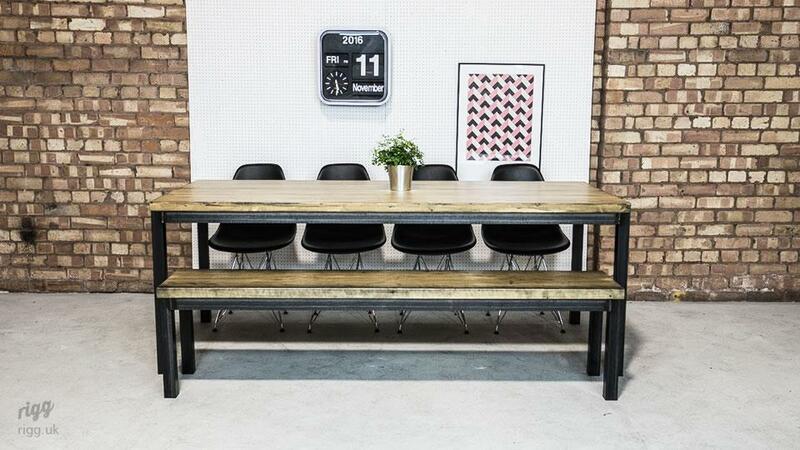 The structure of the industrial table has been developed so that the legs can be unbolted; a robust and thought-through mounting method means that reattachment is reliable and secure. The legs are terminated in protective feet pads. 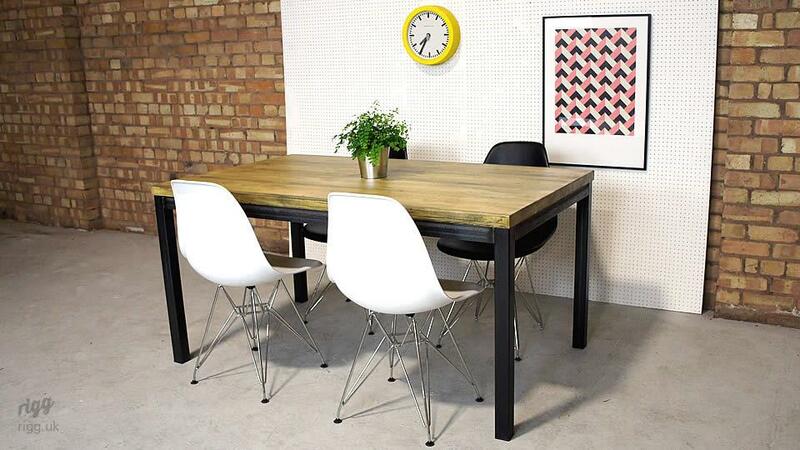 We also make other frame styles such as our angled-leg dining table. In keeping with an "old factory" style this model has a character style top. However, the surface is still easy to clean with spills and food easily cleaned-up. 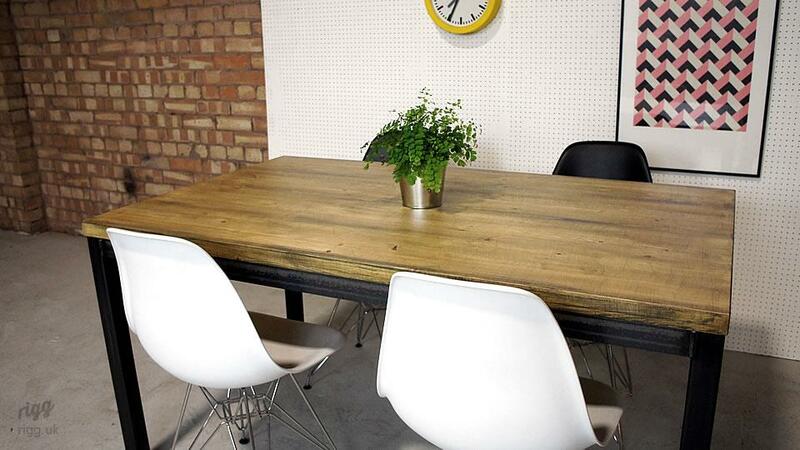 A 40mm thickness section of timber ensures strength, longevity and and feeling of solidity. Several coats of clear matt lacquer protect the wood for years to come with little maintenance. Prices include delivery to most UK mainland places.